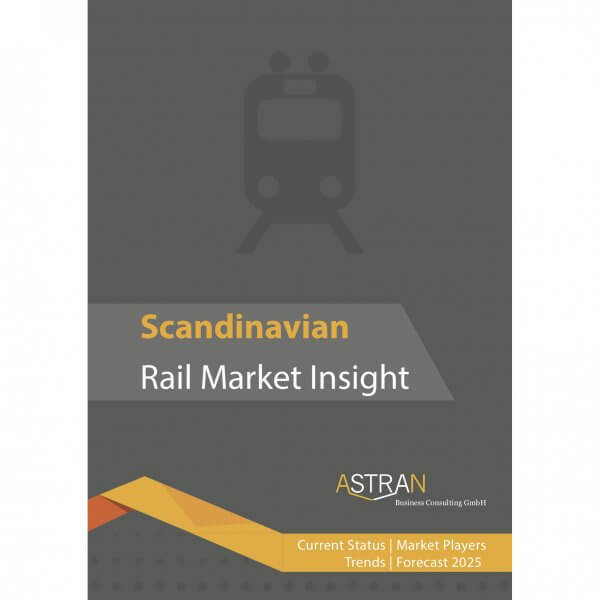 The report Scandinavian Rail Market Insight is aimed at current and potential market players. It offers strategic knowledge about the Scandinavian rail sector which enables market players to assess market opportunities – now and in the future. Companies interested in this market are provided with guide-lines and support. Companies already active in this market will find useful information enhancing their current market view. The described analyses regarding market size, market growth and profit margins offer the opportunity to assess the current and future market attractiveness. This is pivotal in order to evaluate future challenges and to develop appropriate strategies. The Scandinavian Rail Market and the Influence of Digitisation: Continued Upward Trend for the Rail Industry? The Scandinavian countries of Denmark, Norway and Sweden have instigated long term programmes to develop modern transport systems that will make traffic flow easier, faster and safer and will increase the competitiveness of business and industry, improve urban environment and promote regional development. These prospects have to be seen against a backdrop of deregulated, privatised freight and passenger transport services which has led to rising investment in modern rolling stock. At the same time, the Scandinavian countries are also embarking on historically large infrastructure investments over the next ten years. 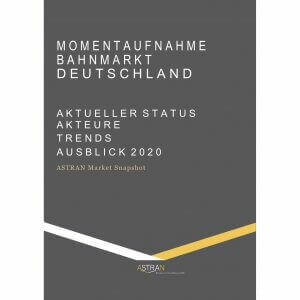 These and the future influence of digitisation on the competition in the Scandinavian rail business are the results of the recent analysis “Scandinavian Rail Market Insight” conducted by ASTRAN Business Consulting located in Kiel. It is one of the methodologically most demanding market structure analysis of the Scandinavian rail market. 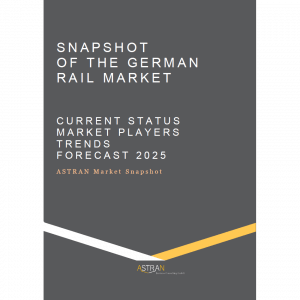 The report Scandinavian Rail Market Insight was prepared by ASTRAN Business Consulting GmbH. ASTRAN is an independent consultancy specializing in strategic core processes which are vital for every company, namely in-depth market analyses, bespoke strategies, systematic business development, and excellent project and process management. The rail supply industry in Scandinavia comprises more than 230 companies and achieved a domestic sales volume of over 4.1 billion Euro in 2015. Infrastructure manufacturers and engineering services providers account for the largest market shares. The rail industry in Scandinavia consists of large manufacturers, as well as many small and medium-sized companies, many subcontractors, consultancy companies and specialised maintenance companies. The rail supply industry of Scandinavia improved its world market position during recent years. In particular, companies for engineering services and railway-related IT products and services are an important part of the local rail supply sector. The identified export ratio demonstrates the international orientation of these companies. The Scandinavian industry is on its way to becoming a successful business partner for rail industries all over the world. At the same time, the Scandinavian rail supply industry depends on global drivers and technical developments. Due to the strong influences of the global mega trends, the Scandinavian rail supply industry faces new challenges and opportunities when competing in international markets. A range of worldwide trends and drivers – e. g. urbanisation and digitisation – will have a direct effect on the rail industries in Scandinavia, taken in conjunction with the more local challenges facing the national rail sectors in each country. The Scandinavian rail sector is predicted to be driven mainly by developments in Swedish and Norwegian rail supply industries. This is mainly because of their high importance, as shown by the relative market sizes and the strong above average market growth over the next ten years. Scandinavian Rail Market Insight provides further information about expected market developments, market drivers and infrastructure projects in the three Scandinavian countries.